We have been aware for some time that Sony Computer Entertainment (SCE) will be present at this year’s GDC with Project Morpheus, its VR headset. The company confirmed this in January when it listed a talk that will provide ‘an update’ on the kit on GDC’s Session Scheduler. A new session, has been recently revealed on the schedule, that is set to address videogame artists working in VR. Sony’s Project Morpheus VR headset for the PS4 will make a return at this year’s GDC. The talk, titled ‘Virtual Visuals: Key Lessons for Artists Working with VR‘ takes place at 14:00 PST on 5th March 2015, and is hosted by SCE Environmental Art Supervisor, Jason Hickey. It will detail the ‘early steps’ that the Art team at SCE London Studio, known for its work on The Deep and Street Luge, took for working with Project Morpheus. The presentation is is geared towards those working in art positions and producers working with such teams,but is suitable for all levels. GDC takes place from 2nd – 6th March. While SCE is bringing Project Morpheus, Oculus VR will also be showcasing the latest prototypes of both its Oculus Rift PC HMD and Gear VR smartphone-based HMD, the latter of which is made in partnership with Samsung. Plenty of other VR developers and companies will also be hosting talks and showcasing their work throughout the week. The creator of the Oculus Rift, Palmer Luckey, mentioned that he didn’t think consoles were fit for virtual reality, due to their weaker hardware not being able to drive a 3D image at high enough framerates to provide a smooth VR experience. Based on the hands on experience of people that have tried Project Morpheus though, this statement seems far from the truth. Virtual reality on the PS4 is going to be amazing. Morpheus was still in prototype form the last time seen. Sony mentioned that the final product will probably be quite different in both look and specs, but the current headset looks pretty damn slick nonetheless. From what has been shown so far it feels like a more complete product than the Oculus, sporting a far more elegant look and a more comfortable and secure fit. Sony might reveal an updated model at this year’s GDC or at least provide us with potential final specs that the unit might have. 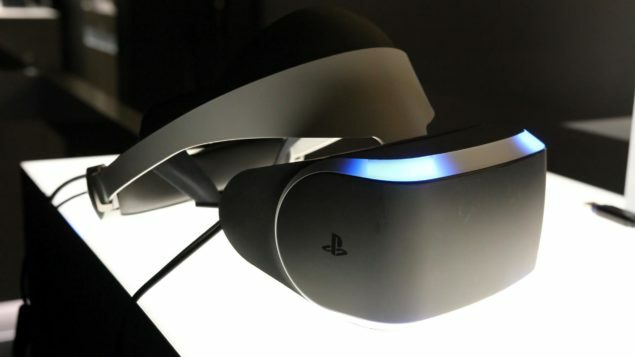 We will bring you more information regarding Sony and Project Morpheus as soon as it becomes available, as well as coverage of the GDC event.